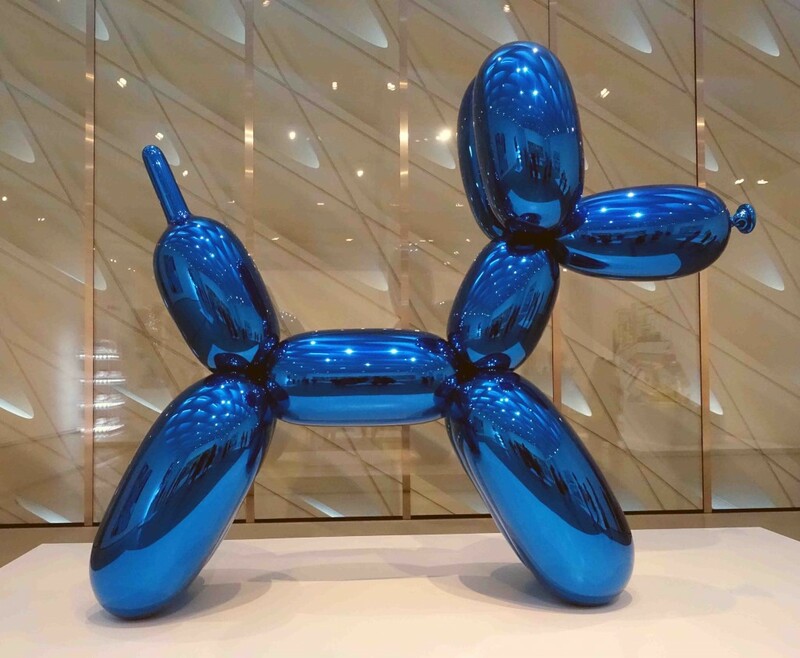 A couple of weeks ago I was fortunate to visit downtown L.A.’s The Broad museum (pronounced Brode – with a long o). I say I was fortunate because I was. For while entrance to the museum is free, it can be crowded and require a wait. The night before my visit, my friend Gwendlyn told me she was going and had reserved 2 extra passes and offered them to me. Yippee! I snapped them up and asked my painting buddy Nicole if she was game. She was (she’s a go-er – part of why I like her) and so we did. Go that is. We boarded the subway and headed downtown. When you’re on an art outing, everything becomes art. That’s how my brain works anyway. 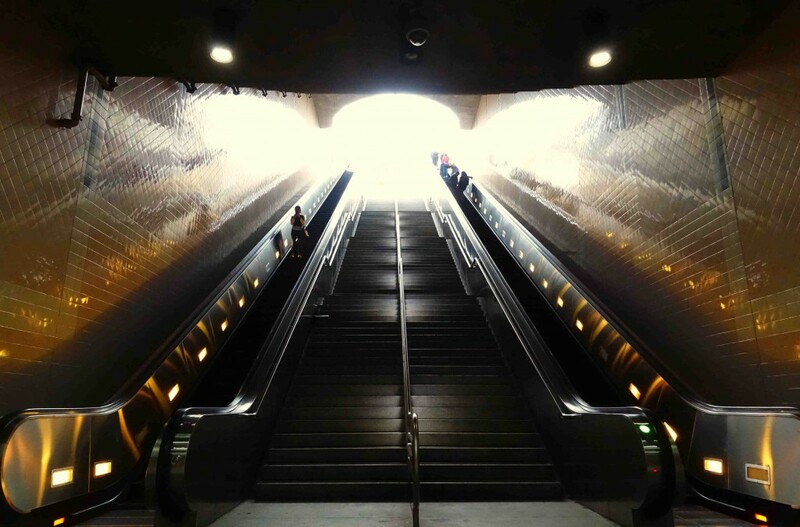 Hence the subway escalator photo. 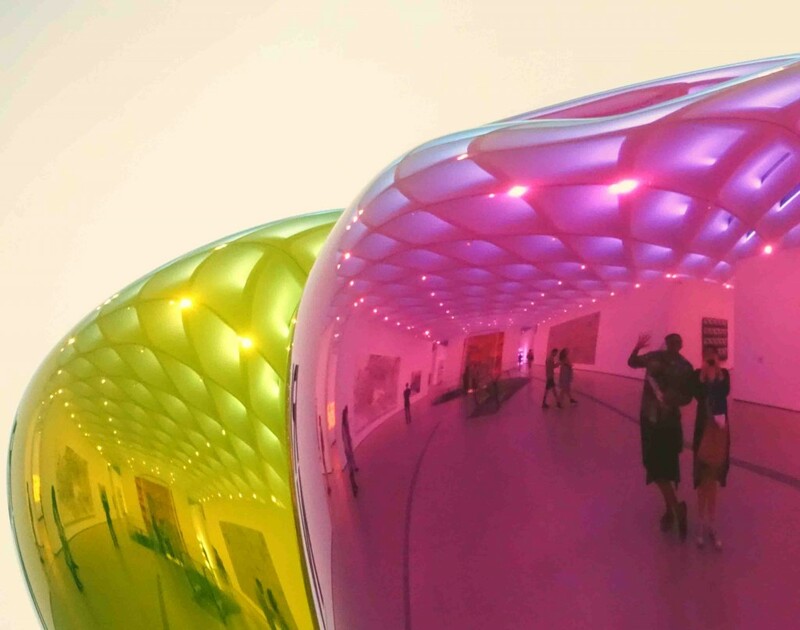 The Broad is located by the Disney Concert Hall, which is pretty danged arty in and of itself. 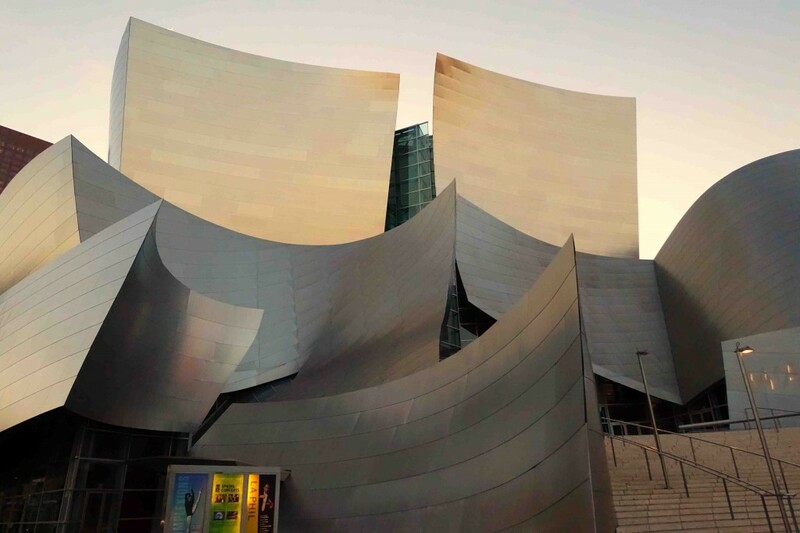 As for The Broad, its design – by Diller Scofidio + Renfro in collaboration with Gensler – is quite different from that of Frank Gehry’s smooth Disney Concert Hall. 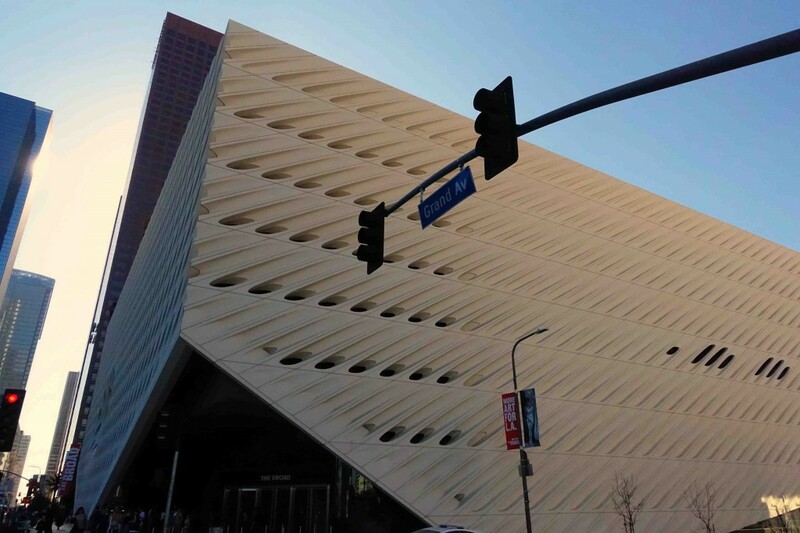 The Broad’s facade has all these little “windows” that allow natural light into the gallery space. It’s merely a shell, and it’s massive. I found it to be stunning and the perfect face for the collection it houses. And what a collection it is! This trippy lamp is located in the lobby. I couldn’t help but think how much I’d love to have that lamp outside my home. By the way, the dude’s head is not part of the exhibit, and I would not like to have it outside my home. But I do like it in the photo. Some of the art is fairly gi-normous, too. It’s amazing to see pieces in person, pieces I’ve only seen in photos. 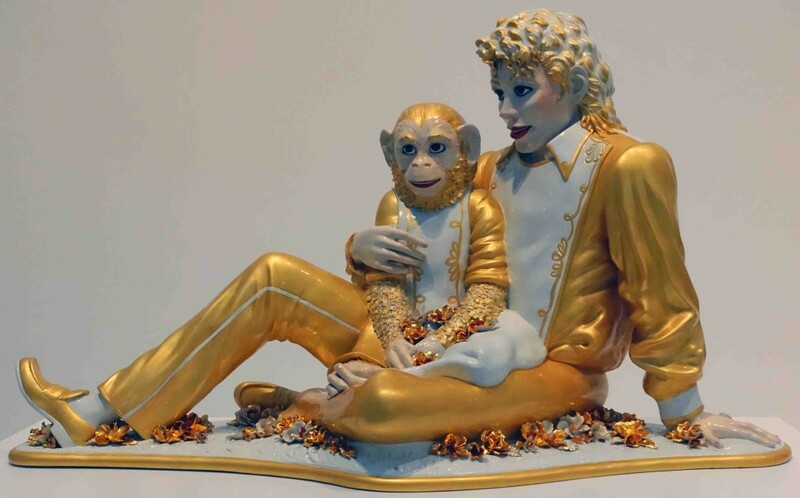 The Koons works fit this category and were definitely fun. The majority of the works I saw were new to me. Seriously – da fuh? Nicole and I took a self-portrait, because you know, that’s how you do. 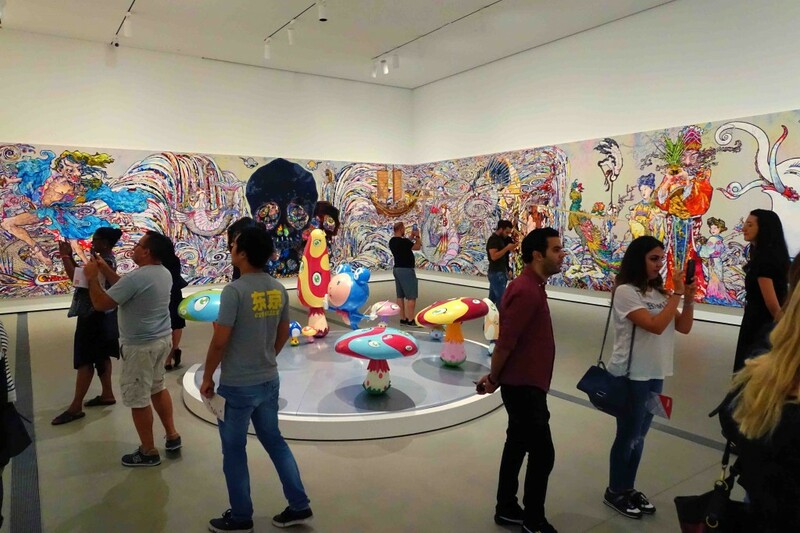 This work by Takashi Murakami, “In the Land of the Dead, Stepping on the Tail of a Rainbow,” is 82 feet long! 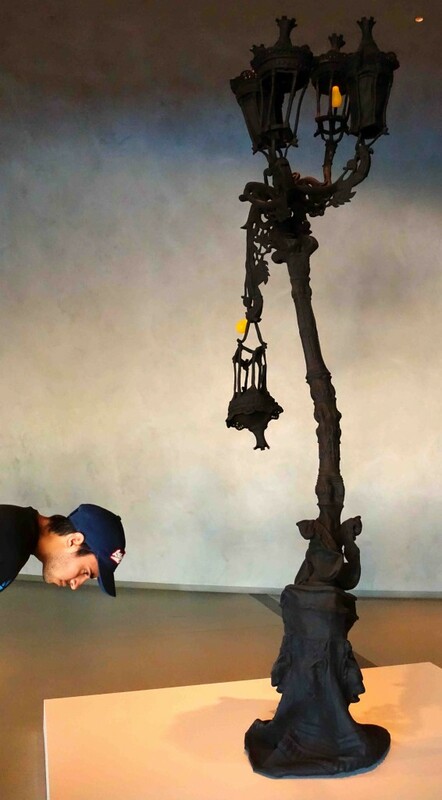 Inspired (at least partially) by the devastating tsumani that wrecked Japan in 2011, the piece is so amazing and large – one could spend an entire afternoon studying nothing else in the museum. 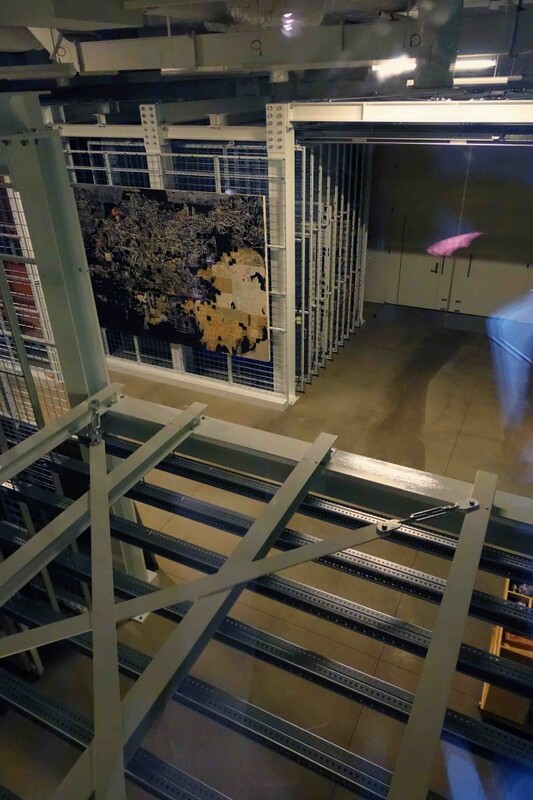 The vault is visible and stores much of the collection on-site. It’s hard to see in this photo, but there are multiple pieces in the racks shown. It was cool to see how they store their art. I’ve never known much about that part of a collection. After a few hours, Nicole and I had to head back to the train. 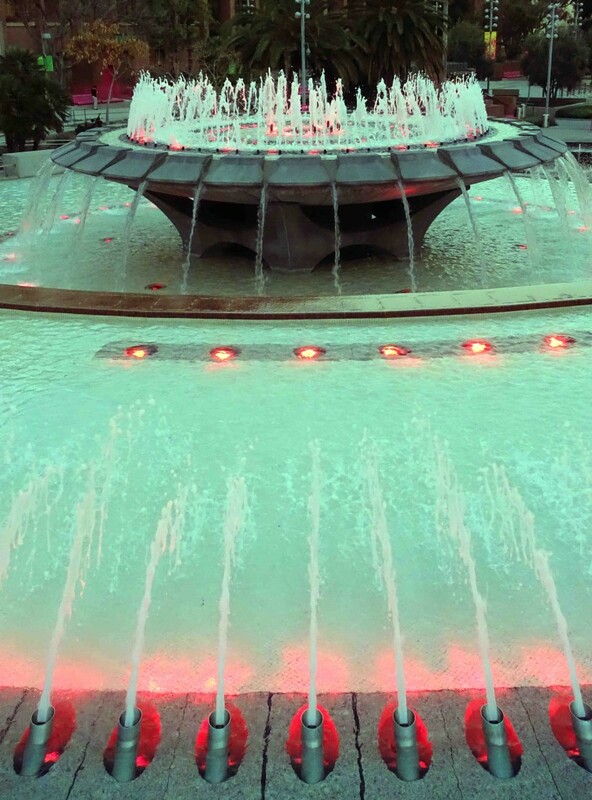 It was getting dark and the fountain lights of Grand Park had switched on. We were tired, but we were so alive from all we’d seen! 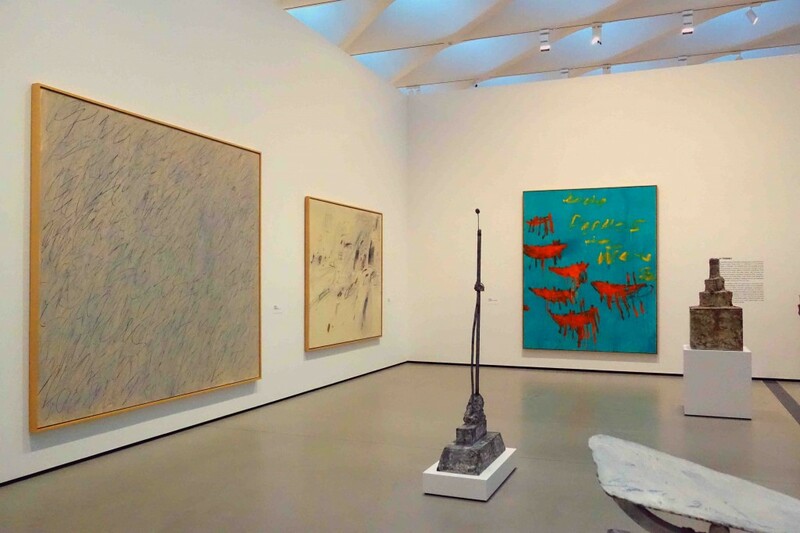 The thing about modern and contemporary art – for me – is that it’s pure entertainment. I don’t have to put any of it in my living room. I don’t even have to get it. I just enjoy the viewing. It’s pretty danged fun. And honestly, it’s tremendously inspirational. All those artists create in their own way. That pushes me to want to create more, in my own way. 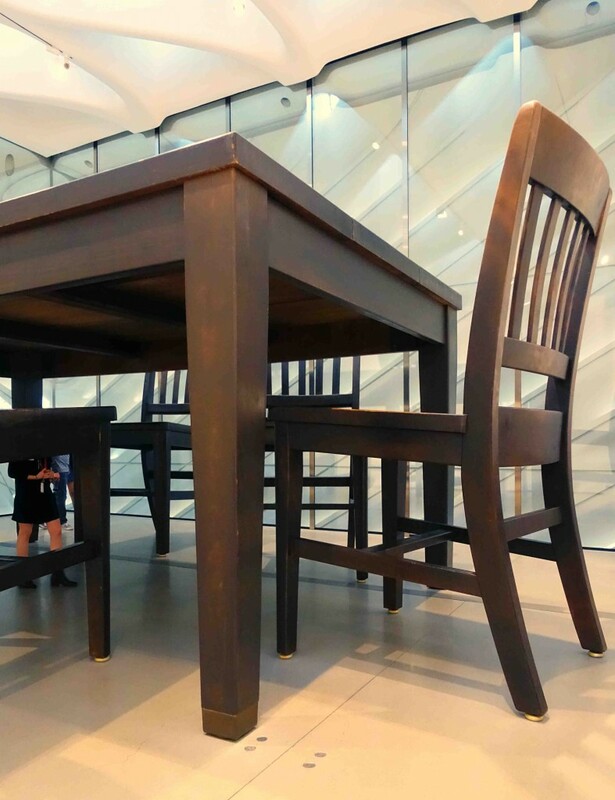 That alone is enough of a reason to appreciate The Broad. I’m so glad that when I was asked to go, I said yes.